“Don’t you dare judge me”, I jokingly pointed out on Facebook in a video I posted of my daughter watching YouTube videos. That day, I had awoken feeling so sick, I could barely function. I wasn’t even out of bed yet by the time I started wondering how I was going to deal with my demanding toddler all day long. I was also pregnant at the time. The screen became the first and easy option. And I. Felt. Guilty. Did I have a reason to? Probably not. 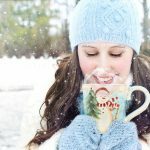 Did that make me a bad Mom? Absolutely not. 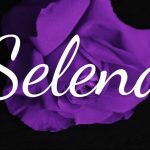 But in spite of my awareness that on the contrary, I was actually doing good by resting so that I could best assist her, I still felt a sense of guilt. And Momma, if you know what I’m talkin’ about, you have come across the right post! 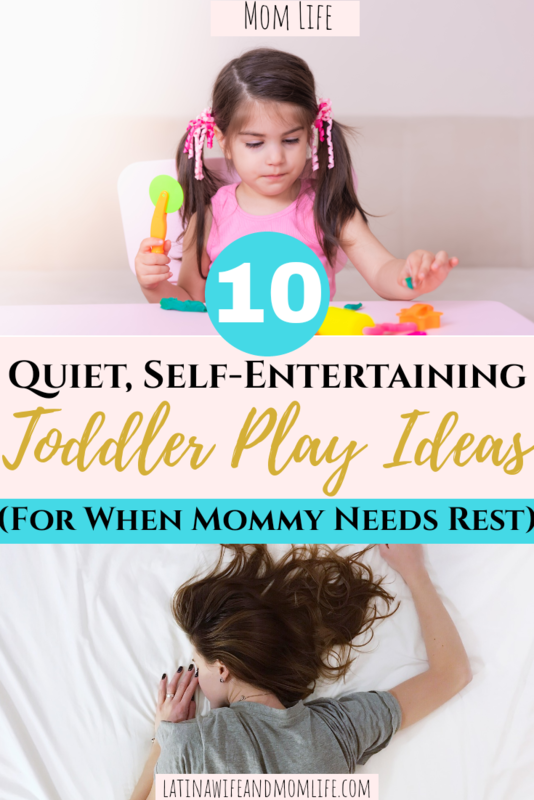 In the following, I have shared a list I came up with on 10 Quiet, Self-Entertaing Toddler Play Ideas For When Mommy Needs Rest. We all have ‘one those days’ here and there. 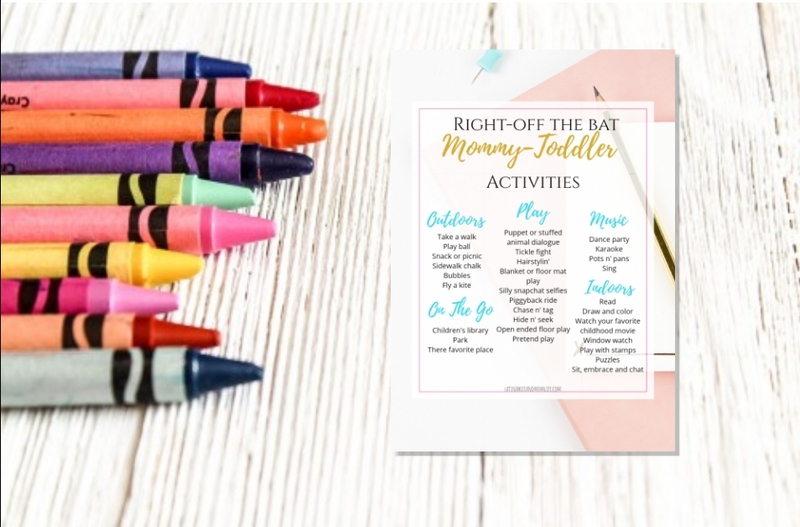 So next time you are very tired, you’re sick or just need some chill time, you can always approach these productive and developmentally appropriate fun self-play ideas with no prep, no messy mess and no hassle! Building blocks are ideal in their use of imagination so they can construct their own little world and entertain themselves in them with action figures and cars. Playing cars is one of the most favorite pass times children are attracted too. Even my little princess will go straight to the trucks in the candy area when we walk into Claire’s! Pompoms (the big fat ones) are THE ultimate favorite for “I-don’t-put-everything-in-my-mouth-anymore” toddlers! The play possibilities are endless, but you can set them up with something as simple as little plastic cups from the dollar store! This is one of those activities they are very special about. 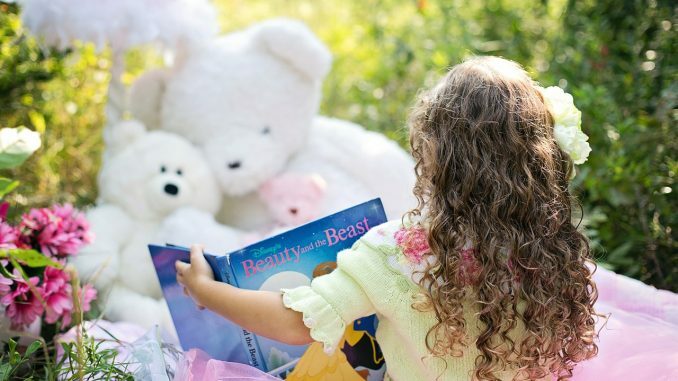 Children love any story time but when it’s up to them, they will bring you the same book 30,000 times a day! 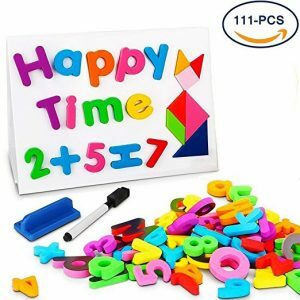 This 2 in 1 educational toy highly appeals to children and allows art creativity while introducing familiarity with letters and numbers! These toys are perfect for small hands and serves children’s imagination as they create pretend scenes in their little animal world. Stacking is like a natural instinct in babies and toddlers. This activity takes their concentration and keeps their little hands busy! 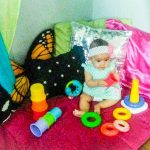 Children love to line up, stack, and sort little things and these toys make that kind of play easy and appealing, especially with their loveable bright colors and textures. Similar to the farm animals, small stuffed toys are one of the most engaging activities that enhance imagination and speech development as they play out the dialogue between the animals and pretend. And of course let’s not forget the good ol’ Tupperware and pots n’ pans! 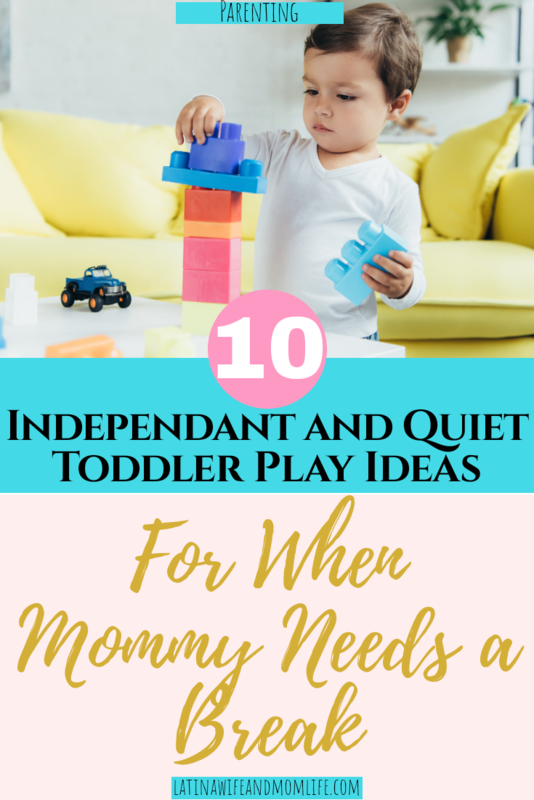 As former pre-k teacher and as a Mom, I am happy to share that this list summarizes the ultimate toddler favorites that, at the same time, benefit them the most! They say we as Moms have no sick days, and that may be right, but I now have 2 toddlers, and giving them something to do even when I just need room to breathe has given me a better sense of peace. And if you do the same once in a while, That. Is. Okay. You do not necessarily have to engage and interact with your babies 24/7! And that does not make you bad or selfish. On the contrary, you can only give what you have. 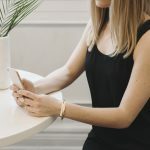 The fact that you are looking after yourself and acknowledging your needs, facilitates caring better for those that depend on you. So what about you? What things have you tried with your toddler to give yourself a break? Let me know in the comments how you deal with these kind of days. 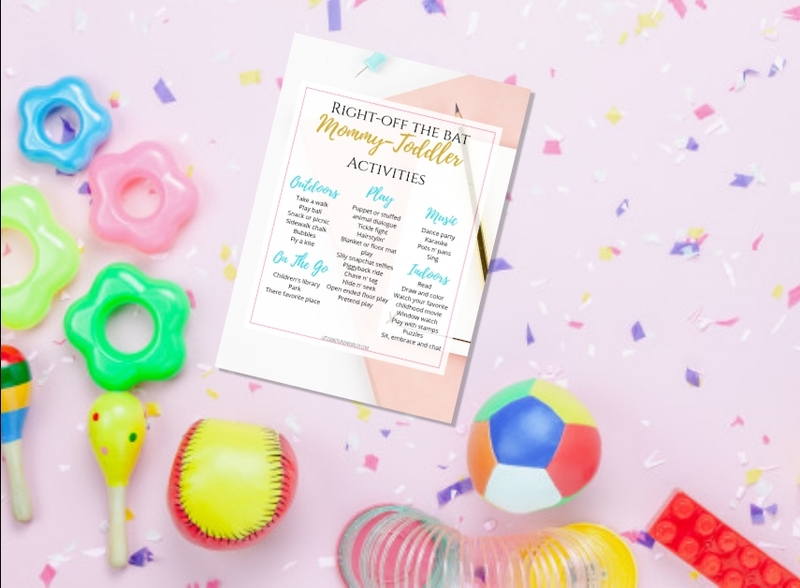 For a quick and handy cheat sheet on things to do with your kiddo when he/she just needs to spend some time with you, just enter your email below and as a newsletter subscriber you get to have access to this as well as all my free files!